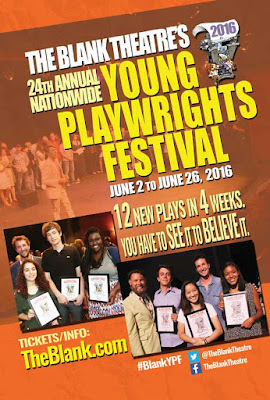 Having once been a festival playwright, I have also returned as an audience member for several years and have always found a special delight in The Blank Theatre's Young Playwrights Festival. If you are looking for a little light and hope (even the dark angsty youth stuff), treat yourself and your family to this amazing festival that always brings me so much joy. The kids are alright. (Now running through June 26).